Coming off their first day off of Spring Training on Thursday, the Atlanta Braves won two of their last three games, edging the Philadelphia Phillies 5-4 on Friday, defeating the Detroit Tigers 6-4 on Saturday, and falling to the Miami Marlins 5-2 on Sunday. Outfielder Cristian Pache continued his hot streak as he homered on Friday and Saturday. Over the three-game stretch, the top prospect went 4-for-7 with two home runs and five RBIs. He is hitting .476 this spring. 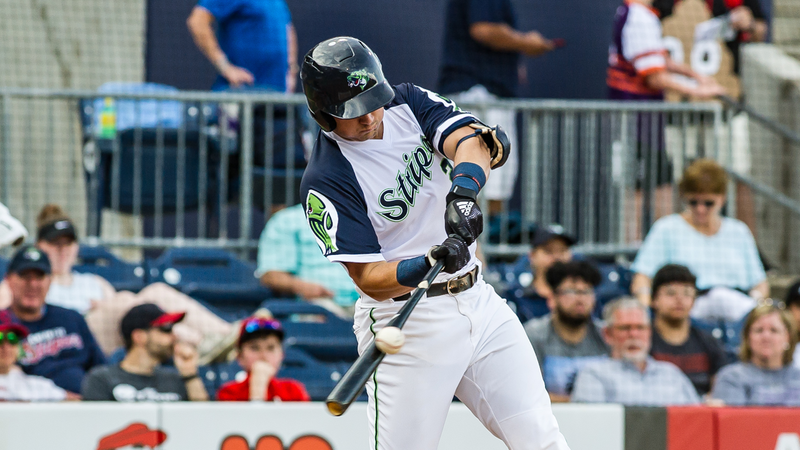 Veteran infielder Sean Kazmar Jr. entered Saturday's game as a pinch-hitter and launched a solo home run in his only at bat of the game. Additionally, Kazmar Jr. walked and stole a base in Sunday's game. Catcher Raffy Lopez went 1-for-2 with a double and an RBI Friday, Lopez is hitting .300 this spring. Third baseman Austin Riley went 2-for-3 and hit his first double of the spring Saturday (totals: 3 games, 2-for-9, 1 2B). Relief pitcher Corbin Clouse worked an inning and picked up his first save of the spring on Saturday. Clouse has appeared in five games and has thrown 4.2 scoreless innings during Spring Training. Wes Parsons continued his scoreless streak on Sunday tossing 1.2 hitless innings, he has worked 7.0 scoreless innings and has five strikeouts. Kolby Allard, who went 6-4 with a 2.72 ERA in 2018 with Gwinnett, picked up the loss on Sunday he threw 0.2 innings and gave up four runs on three hits. The Braves continue Grapefruit League play today facing the Pittsburgh Pirates at 1:05 p.m. at Champion Stadium. Top pitching prospect Kyle Wright will be on the mound for Atlanta, Right-hander Nick Kingham will be pitching for the Pirates. March 12: Vs. St. Louis Cardinals, 1:05 p.m.
March 13: At Washington Nationals, 1:05 p.m.
March 15: Vs. Miami Marlins, 1:05 p.m.